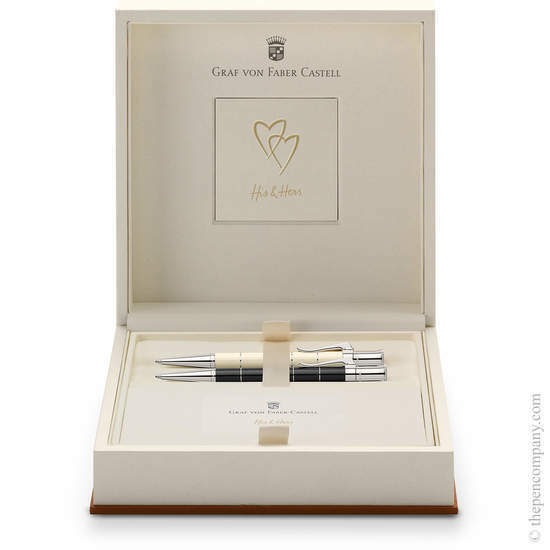 The Anello His & Hers ballpoint set provides the ideal wedding or anniversary gift, presenting two Classic Anello ball pens with platinum plated rings along the ivory and black barrels in a luxurious gift box complete with greeting card. The Anello from Graf von Faber-Castell has a beautiful barrel constructed of metal rings sandwiched between the main barrel material giving the collection its name (Anello is Italian for 'ring'). 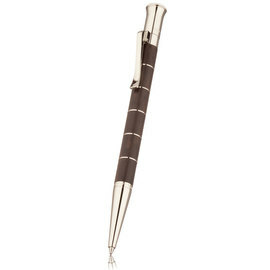 The rings of the Anello pens lay flush with the barrel giving a hardly noticeable transition between the materials creating a visually stunning and highly tactile writing instrument.